I first learned about Graze.Com from an ad in Rolling Stone magazine last year. I checked the site out and said eh I like free stuff I’ll check it out! It is a subscription service so watch how you register – there are options. got the box maybe 5 or so days laters and it came with 4 randomly selected snacks. Read the site once you click the link below for the full story. 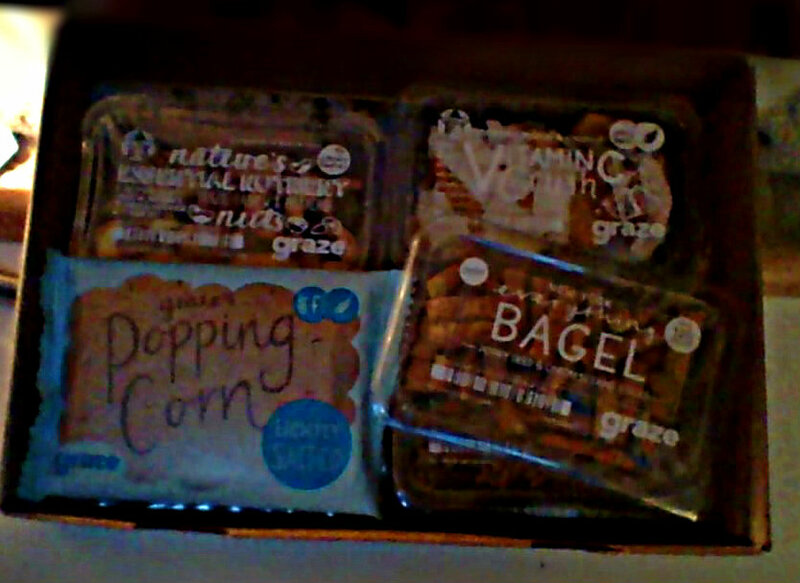 Graze.com has since evolved and have other portion and box sizes now so something for everyone. And you can rate what you receive so if you stay with the subscription it will ensure you never get what you don’t like again and that you do get more of what you do like and even more what you love. There are so many cool snacks and the ones on my Trash list are mostly because they are things or flavors I just do not normally eat. Maybe one I was hoping to like and found it gross. Here is an eight count box I just got, I took out the insert that separates the two snack levels. There is the link direct to my Graze.com referral so I can get the credit. Every 3 Referrals you earn a FREE BOX and for every single referral you get a $1.00 a box!! This applies whether or not you go on subscription or order once in a while!